For the commercial operator we have a wide range of ovens to suite any requirement. Wood fired, gas fired or even wood and gas fired combinations; modular ovens that can be taken through a small door opening or up flights of stairs to fully assembled ovens that can be installed and working within one day. Forno Bravo commercial ovens are constructed using the best modern refractory materials available and are insulated using the highest quality thermal insulation. 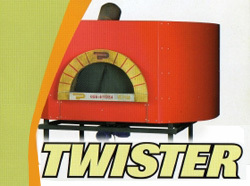 Combined this with the flair and design that come from Italian craftsmanship and you have the best ovens in the world. So, our ovens can provide an excellent and even cooking environment for the professional operator and also conserve energy. 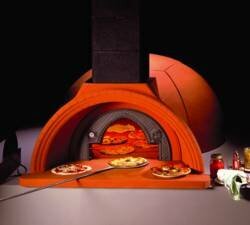 The commercial ovens are available in sizes from 110cm diameter baking area up to 185cm diameter baking areas.